I'm opening up my home studio and you are invited! Everything is coming out of storage from the past 12+ years of my career to make room for our little Baby Tough soon to arrive. - Spread the word and bring a friend! Tag at least 3 friends on my Instagram & Facebook contest and be entered to win print! My work has once again been published in one of the most beautiful hardcover books I’ve seen! 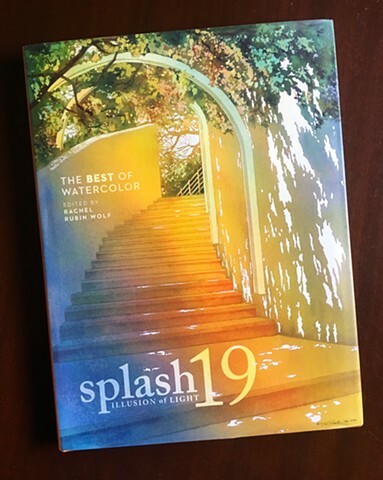 Splash 19: Illusion of Light is North Light Books annual international juried publication for the best of watercolor. 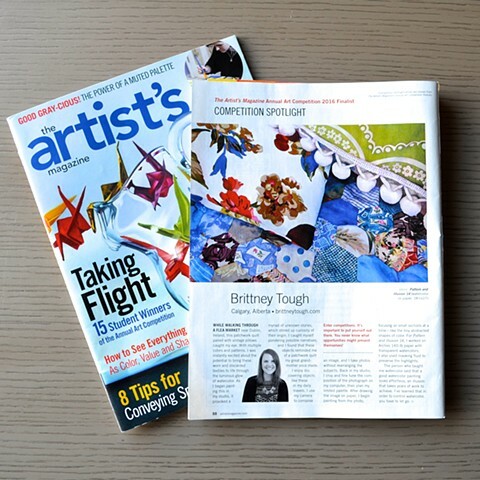 As a finalist for the Artist's Magazine Annual Art Competition, my work was selected and published on a full page! 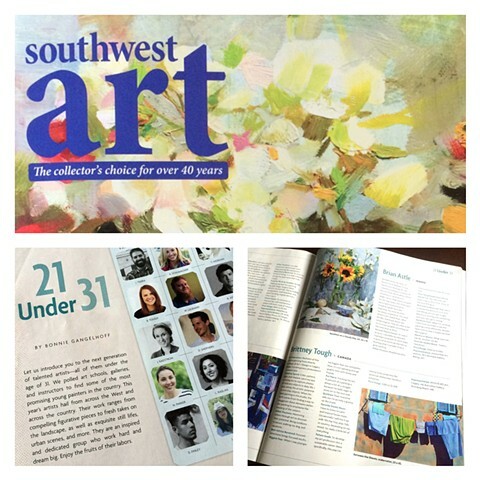 I am pleased to announce I've been published in Southwest Art Magazine's special feature, "21 Under 31"! This magazine is dedicated to introducing 21 young artists across the country who are up and coming artists to watch for and collect. The magazine defines this group of artists as representing the future of realism today. Get your copy this September at your local bookstore. Now you can easily subscribe to my mailing list. You'll receive occasional studio updates with information on new paintings, upcoming shows, and classes all with a personal touch!